It is known by quick and complex moves, using mainly power, speed, and leverage for a wide variety of kicks, spins, and highly mobile techniques; at heart is the ginga, the back-and-forth, foot-to-foot movement that serves as the starting point for such leverage. 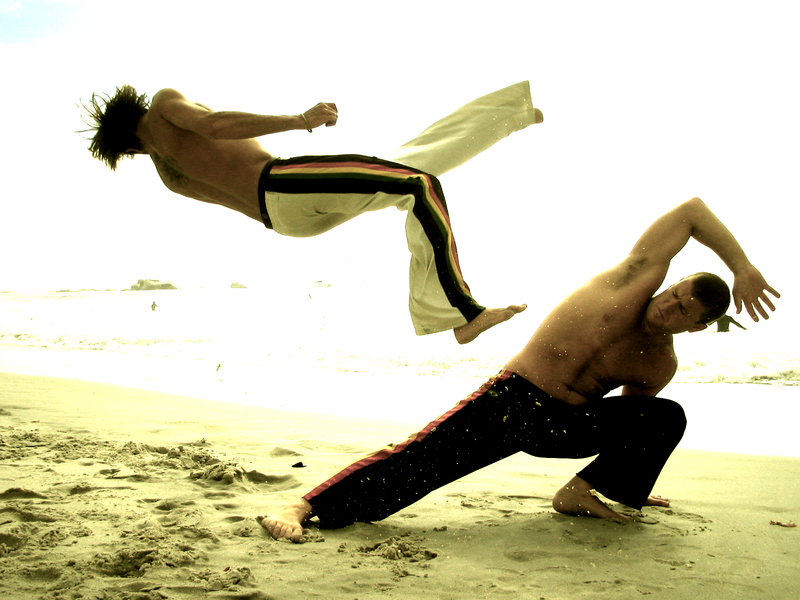 Capoeira used in genuine self-defense situations incorporates many sweeps and low moves, whereas when played as a game there is more emphasis on high moves, demonstrations of acrobatics, full cartwheels (called au) for evasion, and flips or other exotic techniques. In the 16th century, Portugal had claimed one of the largest territories of the colonial empires, and used slavery to supply this shortage of workers. Although slaves often outnumbered colonists, rebellions were rare due to lack of weapons, harsh colonial law, and lack of knowledge about the new land. 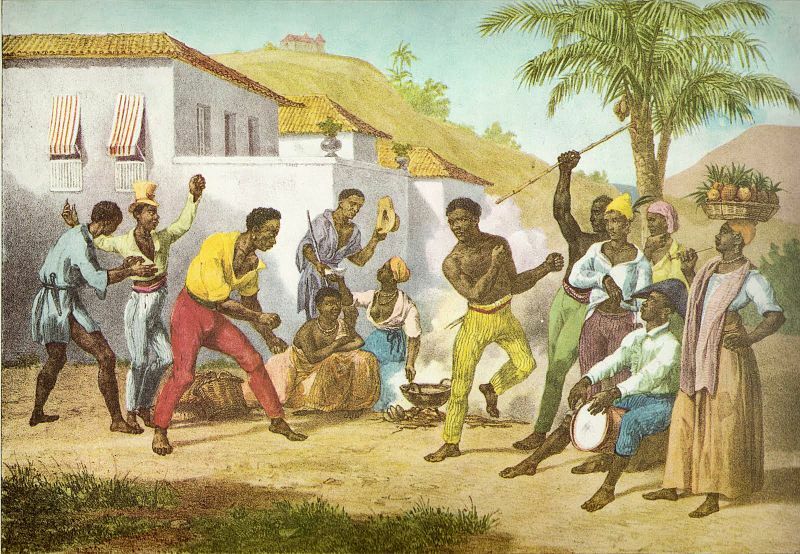 Capoeira arose as a hope of survival for an escaped slave, completely unequipped, in this hostile, unknown land and against the capitães-do-mato, the armed and mounted colonial agents who were charged with capturing escapees. The dance was incorporated to avoid detection and corporal punishments. If slaves were caught practicing fighting techniques, they could be punished or executed. With music and rhythmic moves, they raised no suspicion of escape attempts. 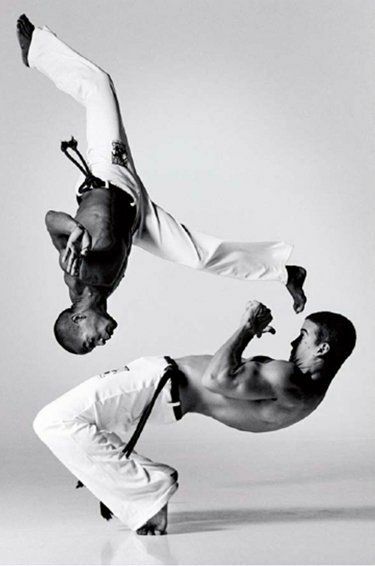 Today, capoeira is not only a martial art, but an active exporter of Brazilian culture all over the world. Since the 1970s, capoeira masters began to emigrate and teach it in other countries. Present in many countries on every continent, every year Capoeira attracts to Brazil thousands of foreign students. Renowned capoeira Masters often teach abroad and establish their own schools. 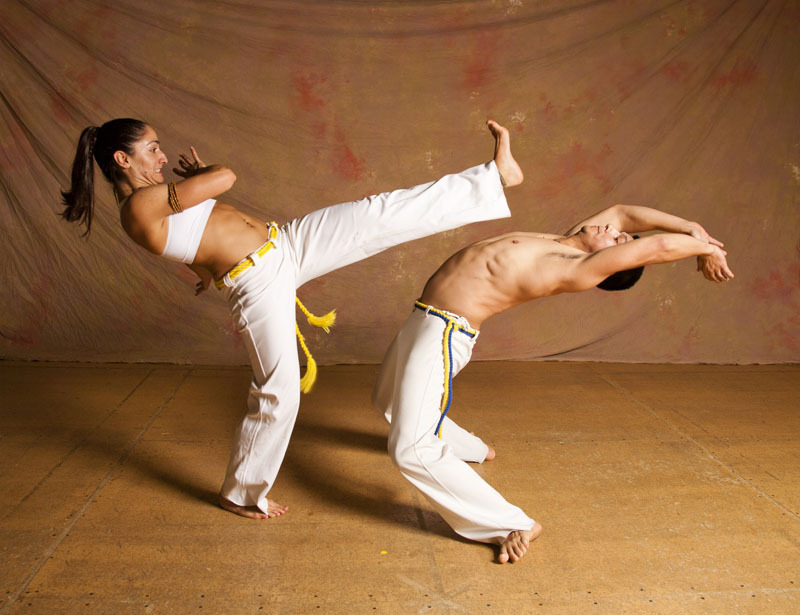 Capoeira presentations, normally theatrical, acrobatic and with little martiality, are common sights around the world. The martial art aspect is still present and still disguised, leading many non-practitioners to ignore its presence. Trickery is ever present and expert capoeiristas and an attack can be disguised even as a friendly gesture. 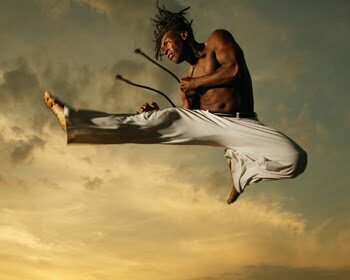 Capoeira is now symbol of Brazilian culture, its ethnic amalgam, and of resistance to oppression. 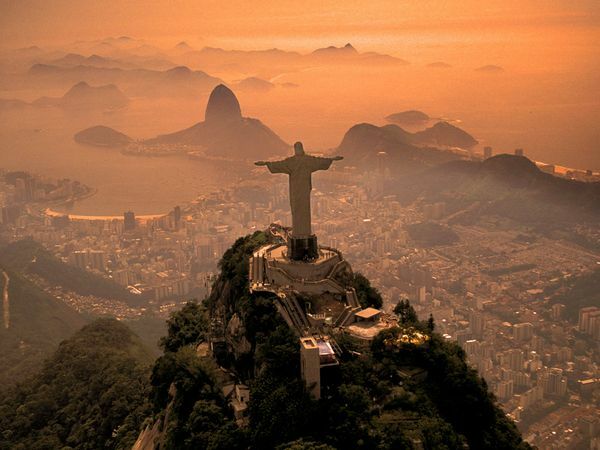 It is now a source of pride for Brazilians and is officially considered intangible cultural heritage of Brazil. click here or the photo below to see all my articles in "Fitness"